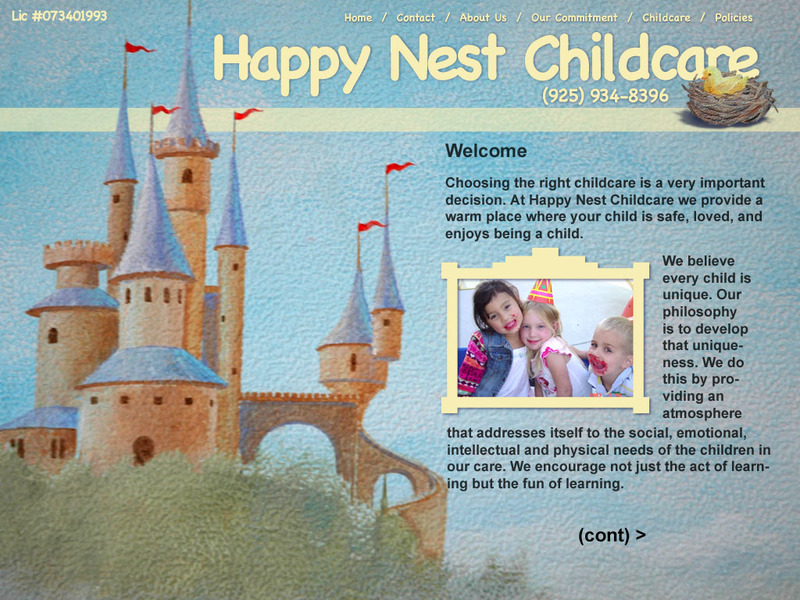 This is a personal note to all the families that are part of the Happy Nest child care group, and to all who are thinking of joining us. My commitment is to offer to you the best quality child care I can possibly provide. Throughout my years of involvement with children I have been continually rewarded by the unconditional love and excitement that comes from each child I care for. The sheer pleasure of teaching, loving them, and being a part of their lives is so precious to me. Becoming a parent has enriched my heart and has given me a greater understanding of what it would be like to have someone else care for my child. 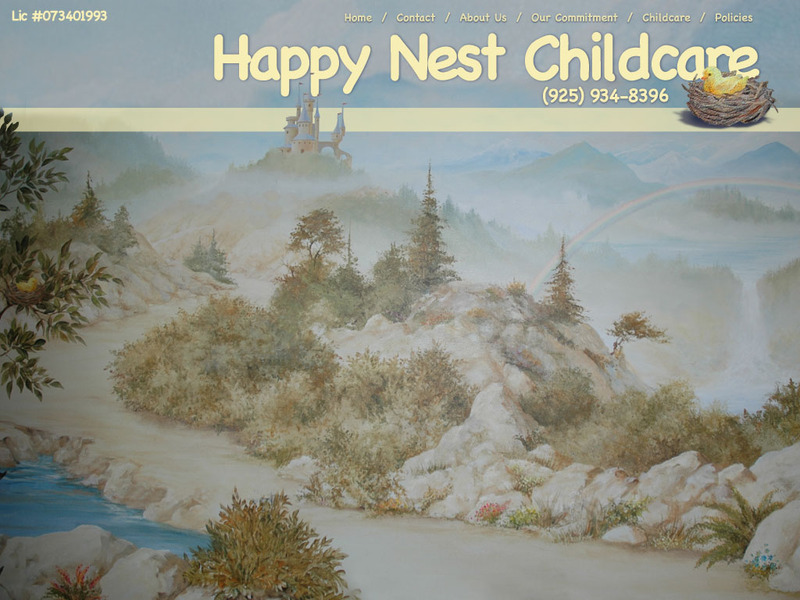 I have created a loving and warm environment for the children that we strive for as parents. I have also created an environment which has many fun and interesting “hands on” activities for the children. Activities such as matching, sorting, patterns, cutting, sensorial, art, blocks, imagination and stories to fill each day at Happy Nest child care. Children can explore and choose the activities they experience, working and playing at their own pace. 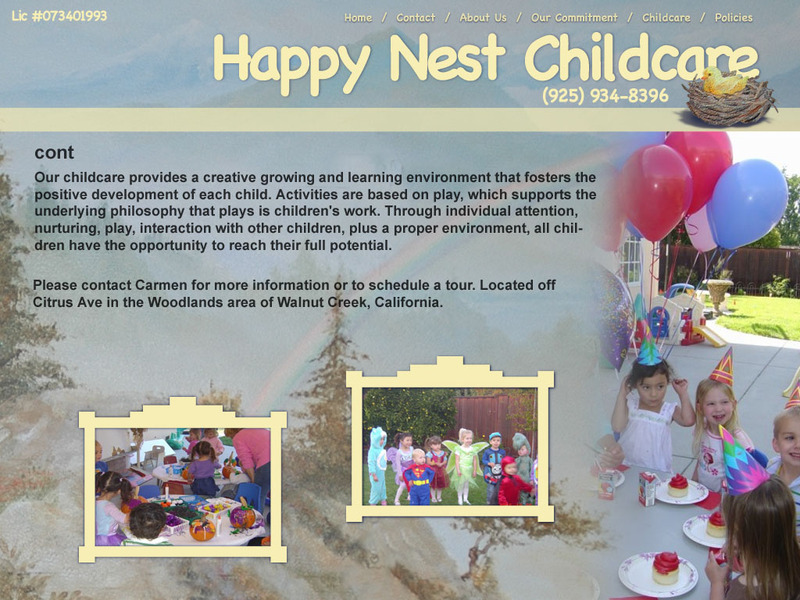 At Happy Nest child care the activities are only one part of what children learn. Here, children acquire an enormous amount of self love and love for one another. We share from our hearts, we are considerate of each other, and we practice being loving, caring individuals. This is true not only of the children, but also of the staff, because children learn from the example of the adults in their lives. Children are encouraged to share their feelings. We talk about the love in our hearts and the feelings that make us feel good or sad. It is healthy to share our feelings, whether we are grouchy, or happy and it helps children to have a positive attitude about themselves and those around them. By emphasizing this through our program, and by the love and encouragement they receive at home, your children will become the best that they can be. I look forward to becoming a part of your child’s life!